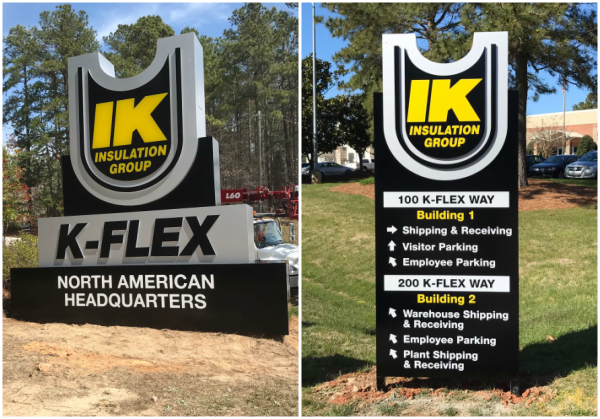 K-FLEX USA, a division of IK Insulation Group, is a leading manufacturer of thermal and acoustic insulation products. 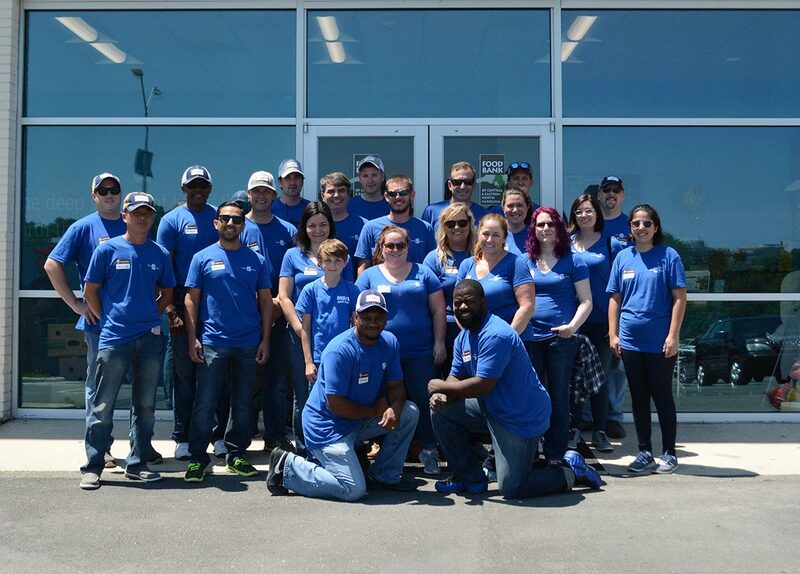 The company’s North American headquarters are based in Youngsville, North Carolina, where K-FLEX is among the top employers. 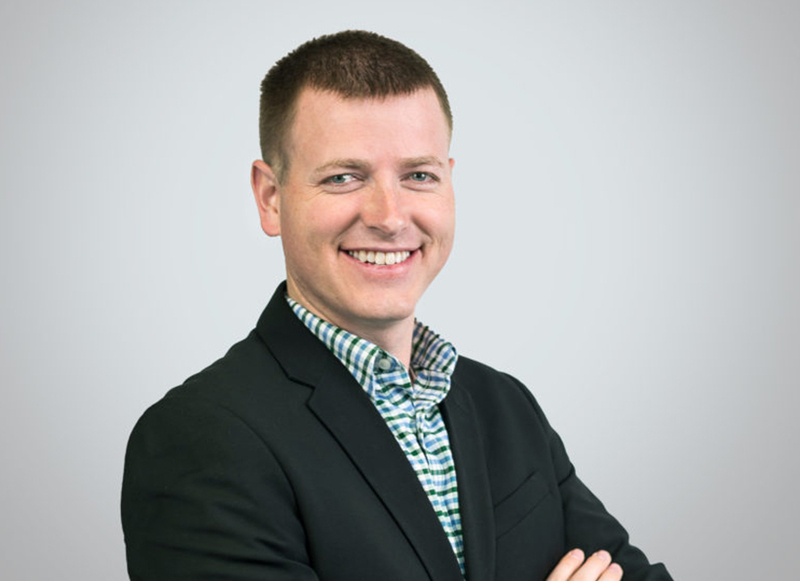 In response to increasing demand from its customer base, K-FLEX USA announced plans to add 365,000 square feet to its existing production facility, essentially doubling its operations. 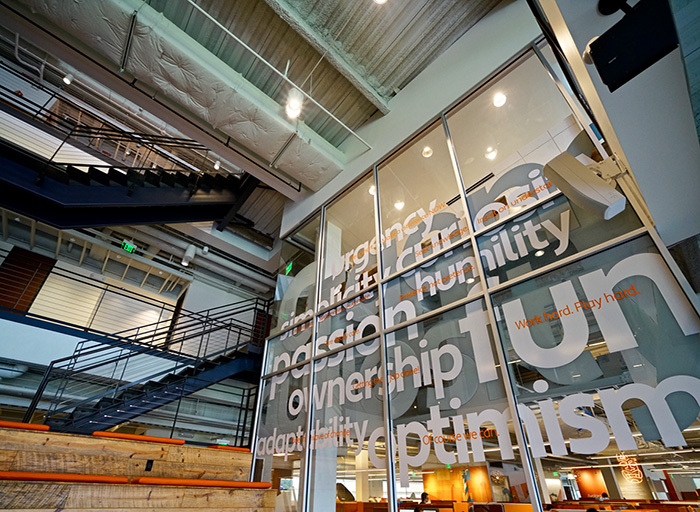 With the new facility expansion, creating a more efficient wayfinding system was more crucial than ever before. 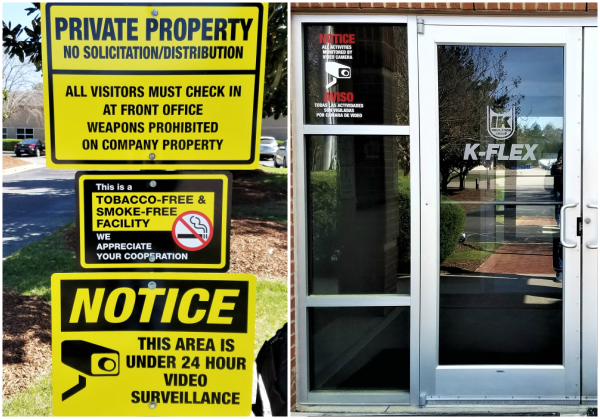 Prior to working with Capital Sign Solutions, the facility’s signage was limited and had poor visibility, making it difficult for truck drivers to find their way to its multiple loading docks. 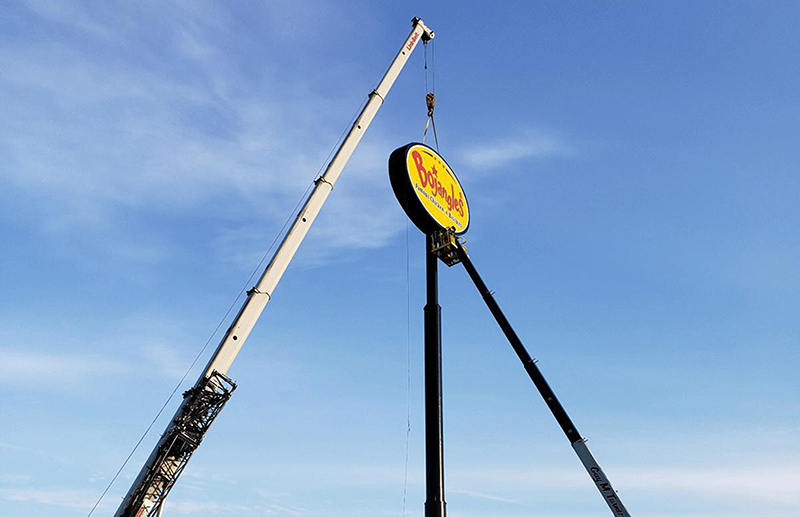 The signs were also outdated and didn’t truly reflect K-FLEX’s modern corporate brand. 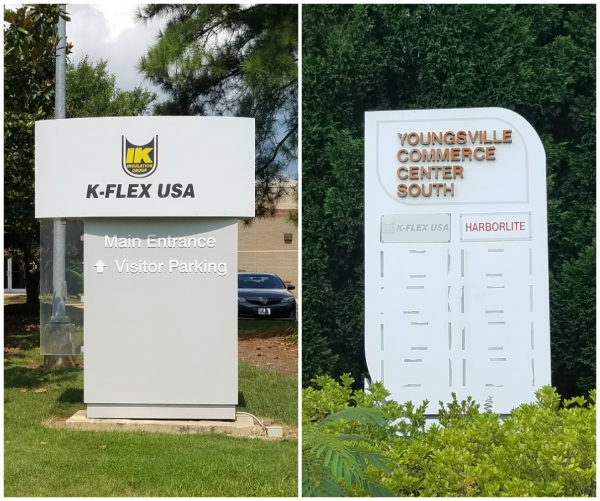 Capital Sign Solutions was brought on board to replace the old signs with a system that not only improves the direction of traffic, but also enhances K-FLEX’s brand presence throughout campus. — 3 Internally illuminated monument signs. Standing over 7 ft tall, these signs are much more visible and easier to read. The copy and logo are routed from aluminum faces and “pushed thru” with 1″ thick clear acrylic, with first surface opaque black and translucent yellow vinyl (K-FLEX’s brand colors). 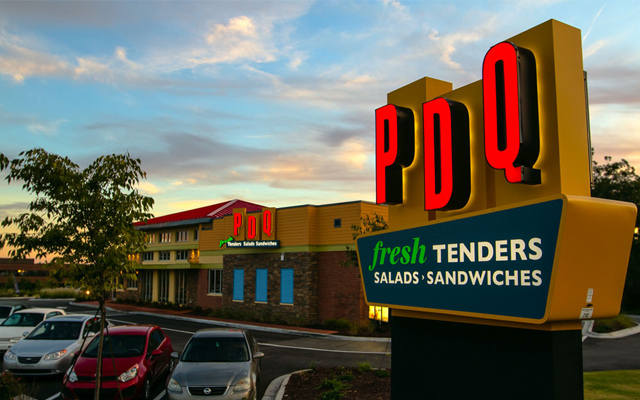 — 3 Non-lighted directional signs. The front aluminum panels are painted black with directional graphics on reflective vinyl. Our team also installed a set of halo lighted letters with a face/halo lighted logo sign made with aluminum and illuminated via white LEDs. 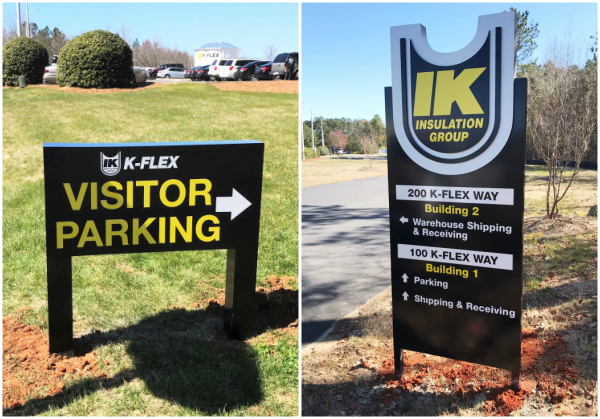 A leader in its industry, K-FLEX USA partners with its customers to provide solutions for demanding insulation applications. We’re proud to partner with K-FLEX for wayfinding solutions that puts their brand front and center. Interested in our wayfinding signage solutions? 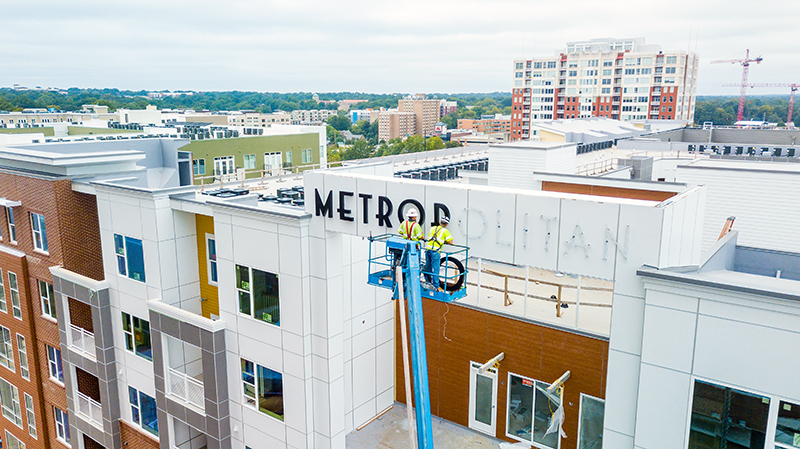 Contact us to speak with one of our signage experts.